Muhala was born with heart disease. 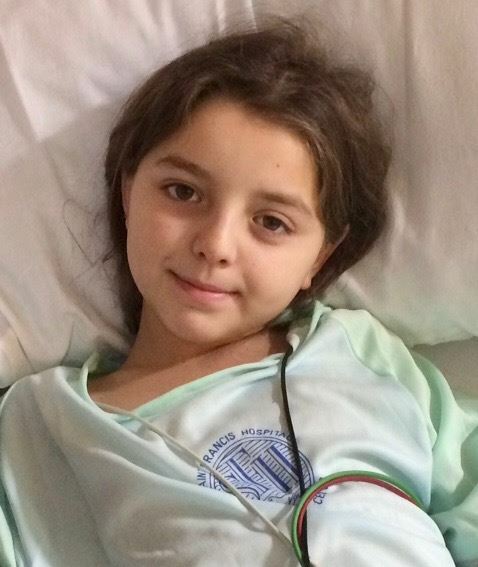 Muhala is a nine-year-old girl with a life-threatening congenital heart defect. Endovascular surgery can save her life. Muhala has a PDA (patent ductus arteriosus), a condition in which a blood vessel fails to close normally after birth. As a result, she has abnormal blood flow between the aorta and pulmonary artery, two major blood vessels that surround the heart. Options for medical treatment where she lives are limited. If the PDA is not closed, Muhala risks heart failure, bleeding in the lungs, problems with lung development, or endocarditis (an infection of the inner lining of the heart). Muhala is from Kosovo. Fortunately, Saint Francis Heart Center has accepted Muhala for medical treatment. Her defect can be closed without the need for open-heart surgery using a device called an occluder. But the cost of the medical device used to close the hole, expendable medical supplies, airfare, US visas, support for the family, and other associated expenses is $72,850. Muhala's family is appealing to The Gift of Life, Inc. children's charity for assistance. Dr. Sean Levchuck, Chairman of Pediatric Cardiology at Saint Francis Hospital will perform the procedure for free and the hospital will donate most of their services, leaving $7,850. Once these funds are raised Muhala can come to the US and have a chance at a new life without heart disease. She will be able to live like other girls her age. Muhala was successfully operated on January 18, 2017.